Humans and dragons...pactbound once more. Alberia... A kingdom where dragons rule over nature. The Alberican royal family possesses the power of shapeshifting. By forming a pact with a dragon, they can borrow its form and wield its immense strength. On day, the kingdom is met with a strange most troubling occurrence. The power of the Sacred Shard that protects the city begins to weaken. In order to protect his person, the seventh prince of Alberia, not yet pactbound with a dragon, sets out on what's known as the Dragon's Choosing. While he seeks a dragon to form a pact with, he'll meet new companions -- including a mysterious girl from another time -- and face a sudden and inexplicable change in his own father, the king. By creating a party of four, you embark on quests to slay monsters and clear quests. The game is a top down, action RPG that focuses on dodging enemy attacks while attacking at key moments. 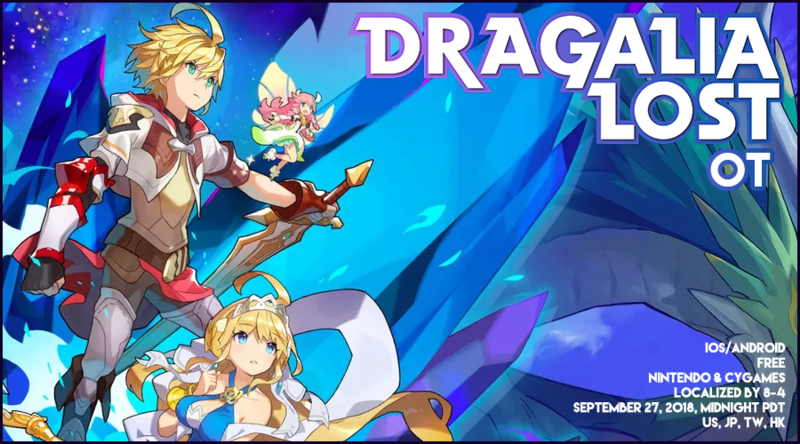 Dragalia Lost uses the simple controls of tapping to attack, dragging to move, and swiping to dodge. There are four main classes, five elements, and eight different weapon types, so building a team that works well together is part of the strategy. Characters can form bonds with dragons, and by attacking and gathering crystals in combat, can transform into dragons themselves to deal massive damage and turn the tide of battle. You can also swap between characters on a short cooldown, whether that be to swap to a healer to land a critical healing spell or a wizard character to freeze all enemies in their tracks. While the game employs the standard EXP leveling system, there are a couple of other ways to improve your characters. The first is the standard weapon leveling system, where you feed materials to your weapons to rank them up. Weapons are only obtainable from stages and events and are not a part of the gacha. Another way to strengthen your party is through the Mana Circle system, similar to the system found in Tales of Xillia, where you spend mana to upgrade stats of your characters permanently. Finally, there is The Halidom. Your base of operations, it can be improved by building structures like mines, barracks, and so on which can earn you idle gold, improve skills for your characters, and so on. A major focus of the game is multiplayer. By joining forces with up to three other players, you can take down special bosses that would be unfeasible alone. The game uses a stamp communication system. In addition, every single quest can be done multiplayer as well, so if a friend needs help on a story quest, or you feel like running some repeat missions, you are free to do so. The gacha system is a triple gacha. You pull from a single well, but it can contain characters, dragons, or Wyrmprints. Characters are the characters you play as in the game proper. They are your direct control units, and are members of a specific class, have elemental properties, and use specific types of weapons. Dragons are the dragons you can transform into using the Shapeshifting ability. Finally, there are Wyrmprints, which act as little accessory cards you equip to your characters. These have special effects outside of just straight number buffs, so they can change how a character or team is played. They can be improved just like weapons. Similar to some other gacha games, characters 'star' levels (their rarity) can be promoted by pulling duplicates and using Eldwater, a currency just for this purpose. Finally, the game employs two premium currencies: Wyrmite and Diamantium. Wyrmite is earned from login bonuses, quest completions, event rewards, and so on. Diamantium is purchased only. They will likely have certain banners that can only be pulled from using Diamantium, like the "guarantee 1 SSR character" banners in other games that require paid premium currency only. Looking forward to playing this casually as with all my gacha games. I'm always intimidated with how time consuming GBF was, and hopefully this one is easier to follow on my own pace. Nice thread. Interested to hear impressions. I'm playing three gacha games(Azur, FEH, FGO) already, which is my limit. But I'll at least give it a shot. Dragonball Legends has me good right now but I've got people wanting to rock this together so...see you in there??? Nice OT. I hope the game meets the expectations. Day 1 tier list memes soon. It’s not playable till late Thursday, I think. Have it downloaded. The pre order/preload from the App Store was pretty cool, icon just appeared on my phone. Pretty excited. Nice to know 8-4 worked on the game as well. I'm not playing as much GBF right now so I'm ready for this. This will do till next Dokkan Fest. I'm excited. Too bad that there's no Android preload. I’m ready to throw my money away. I'm super excited for this! Hope to it becomes a new mainstay in my Gacha rotation right now and will help fill the hole left by T*les of the R*ys. Breaking news: Dragalia Lost sold to Bamco. I hope this game will let be build up my units instead of Gacha-ing them away constantly. Excited to play this. Love the art style and how everything looks in general. FEH is the only gacha style mobile game that I play regularly, so we'll see if this can hold me enough that I want to play it for even a few minutes every day. Hoping to preload on Android today at some point. Cautiously optimistic about this but everything I’ve seen about the game looks great. From what I've read, this game is very, very free to play, so I'm cautious. The article seems to suggest that this is a negative? 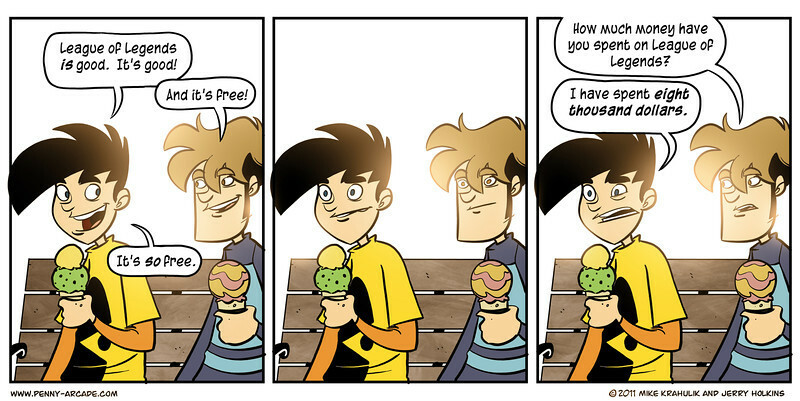 That's pretty much any free mobile game then, it doesn't really mean anything. The implication is that it’s got all the trappings you’d expect from a game fueled by microtransactions. So the right term to use here would be, "pay to win". No one really knows anything about how the game will progress since it's not even out yet. Even people like Gamexplain who got to preview it only got to play the earliest quests which aren't indicative of difficulty by any means. That said, being developed by Nintendo and Cygames, we can start to hope for similar treatment to Fire Emblem Heroes and Granblue Fantasy, which I believe are both pretty friendly to F2P as far as I know (I don't play them myself). Potentially. 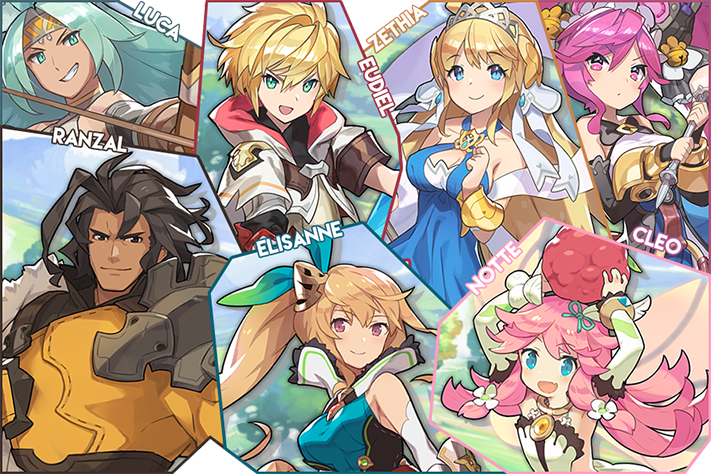 Granblue Fantasy is pretty phenomenal to the player if they’re willing to put in the time, so I hope Cygames aims for something similar here. One question tho, when playing co-op multiplayer do you control your own group of 4 party members or are 4 different players each controlling one member? Since I'll mostly mess around with co-op I wanna know if I should just heavily invest in one random character or spread it out over more. Curious to learn more about the endgame ! Gacha rates have apparently been datamined, 1% for 5* characters, 0.5% for 5* dragons and 4.5% for 5* wyrmprints. It's pretty much on FGO levels, which is disappointing. Raids = 4 players each controlling their entire party. Normal multiplayer = 4 players each controlling a character. Now I can play something other than Dissidia and GBF on my phone! Really dig the use of colors for all the art of stuff, its pretty appealing at a first glance. That's killed my interest quite a bit. So much of the conversation has been about the gacha system, I just want to know how fun the game actually is to play. Action based combat sounds great, but is there anything to it? Wow awful rates, I'm playing enough Gacha with better rates and getting only sh*t, that sounds really bad.